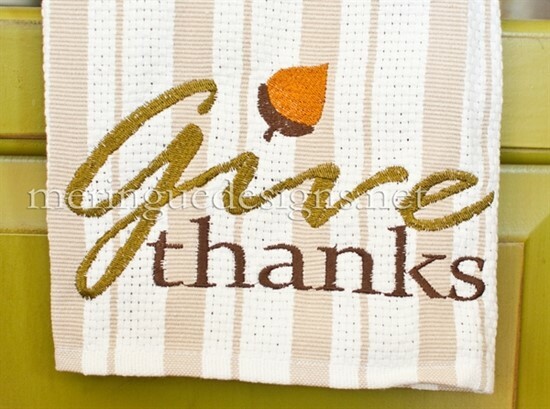 An acorn dots the "i" on this Thanksgiving phrase. 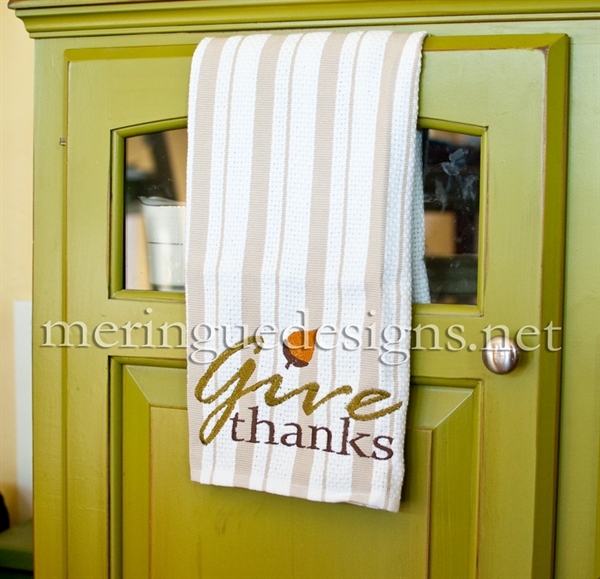 Perfect for kitchen linens or a seasonal pillow. Stitch the entire phrase or just the acorn. 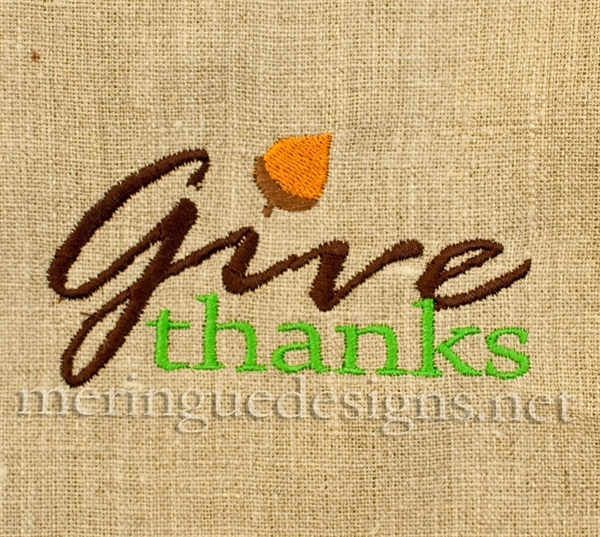 Give Thanks 2"x4", 3"x6", and 4"x8"